Start your new lifestyle today, with personal assistance from YouTube guru China Renee! Watch this video to find out why you may be having a hard time shedding those unwanted pounds! Great Post! It is really a perfect time for me to know about it. I’ve lost 5 kilos in my first week. I followed the diet with some protein as suggested. It is really like magic! It works. I’m not perfectly following the listed diet plan mostly), but the weight looses even on very little exercise. Give a try on this, this diet plan clearly works. Overweight and heftiness are brought on by numerous components, and normal weight reduction supplements can handle a large number of them. How about we investigate. breast actives Breast Actives is a 3 step all natural solution for breast enlargement. SMALL DONATIONS HELP TO KEEP THIS BLOG UP! $1, $5, $10 DONATIONS APPRECIATED! 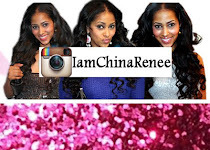 China Renee's Health & Fitness! All rights reserved by China Candy Couture 2018. Simple theme. Powered by Blogger.